In a previous post there was a 3 hour discussion by powerlifting G.O.A.T. candidate Ed Coan on his training routine and his approach to training. A helpful poster on bodybuilding.com took some time to denote the contents of these videos on paper. 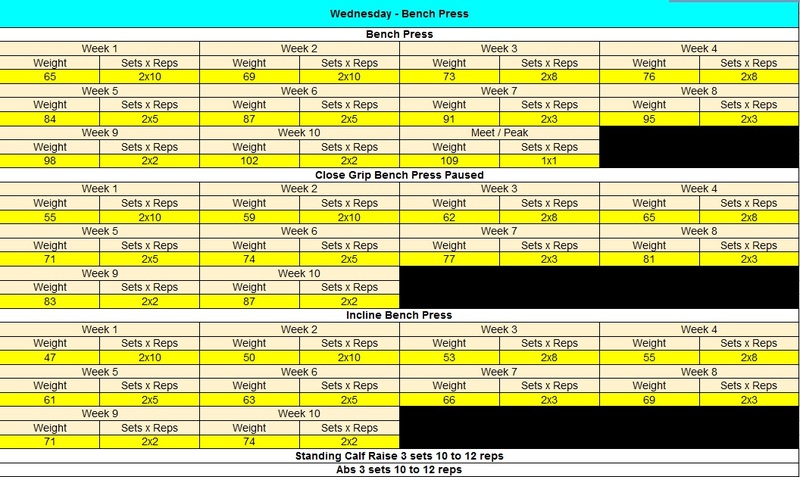 I have taken the time using the post as my template to put together a spreadsheet that will calculate out a ten week cycle using your Maxs as a starting point. A copy of which can be accessed here. 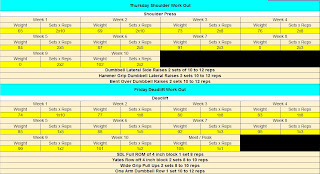 Below are some screenshots of the routine based of 100kg maxes so you can see the percentages involved in the sets. When you start the cycle be conservative with your maxes maybe take 5-10kg off your all time best as it will allow some room for error. Below is a more detailed description of the routine. Caveat: The remastered video is almost 20 years old and Ed probably learned a lot in 20 years. That said, this is what he was doing during his peak, so it is still interesting and valuable. I recently got a chance to see the Ed Coan SuperTraining DVD and I thought that his programming might be of serious interest to a lot of you. For those who don’t know, Ed Coan is the greatest powerlifter of all-time (my opinion). To this day, he still holds raw deadlift records in four classes. I believe he still has single ply records in several classes as well. 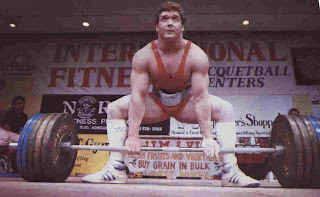 He competed in everything from 165 to 220 and, at one point, was the strongest man in powerlifting despite competing at 220. Pretty ****ing awesome. *Ed doesn’t outline his BTN press programming but says it mimmicked his bench. 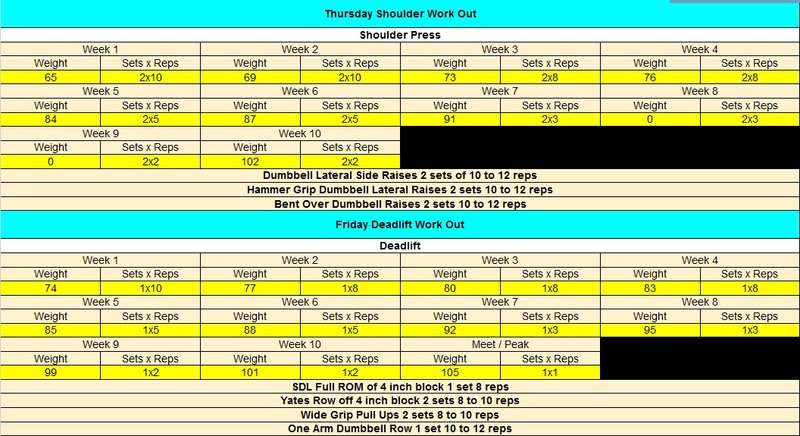 He did the exact same rep/set scheme and went heavy and even tested for a single at the end of the cycle. In his video, he goes to 400×1. *Ed doesn’t outline his wide grip scheme, but it is meant to be a recovery lift. When he benched 555x2x2, Ed used 335x2x2 on wide grips. This is approximately 60%. Ed had a very evident bodybuilder/physical therapist flair to his training. He constantly emphasized form and used his assistance exercises primarily for hypertrophy and balance to prevent injury. He echoed the usual bodybuilder broscience when it came to the assistance exercises. He talked about tempo, controlling the weight, and trying to feel the muscle you were using. He even went as far as to pause his dips and triceps pushdowns to give you an idea. He treats all of his warm-ups like work sets. He has literally the exact same preparation for every set. His philosophy was to “make the warmups easy”; he claimed that if he did this, the work set was already done. In a roundabout way, he was getting speed work done during his warmups. 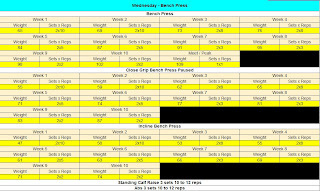 *He would use the exact same programming to increase his CBP and Inclines. TnG bench, but paused CBP and Incline.